My daughter called from CA, asking me to go online to Google. She asked me to type the word FAILURE. Then, hit the “I’m feeling lucky” button. 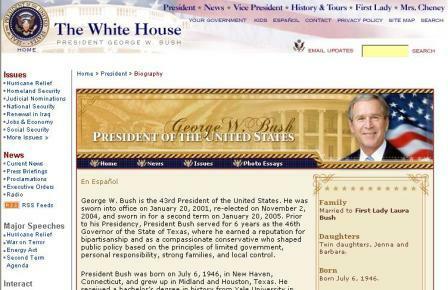 What you get is the bio of George W. Bush. Since posting this I have learned that there is a technique for manipulating results from Google. This is called a “Google Bomb” The above is an example of this in action.